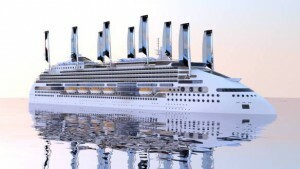 Taking one step further toward setting an enormously important global precedent, Peace Boat recently unveiled its plans to create the world’s “greenest” cruise ship, a project that may herald technological innovations to the shipping world while setting new environmental standards. Called the Ecoship, Peace Boat plans to take its inaugural voyage in 2020 with this groundbreaking, originally designed vessel. Peace Boat made the announcement at the 21st Conference of the Parties to the United Nations Framework Convention on Climate Change (COP21/CMP11), which France has been hosting in Paris over the last two weeks. International negotiations and conferences thus far have been aiming to contain the Earth’s atmospheric climate change to within a differential of 2° Celsius, and unsurprisingly, maritime trade has been pushed to the forefront of the global CO2 emission agenda as a result of the world’s vast trade network. Through the Ecoship project, Peace Boat is singlehandedly establishing change in the shipping industry, while addressing the issue of global warming. In April of 2014, Peace Boat assembled a team of maritime experts in Hamburg, Germany to draft an initial design for the Ecoship. The diverse group of engineers, architects and mariners involved in the project created an innovative masterpiece that includes an aerodynamic hull for improved fuel efficiency, a closed-loop water system that repurposes wastewater, and sails fitted with solar panels. At the cutting edge of the Ecoship’s capabilities is the zero water discharge/reduced air emissions system that will recycle wastewater, prevent litter from being dumped in the sea, and will emit zero nitrogen oxides or sulfur oxides. 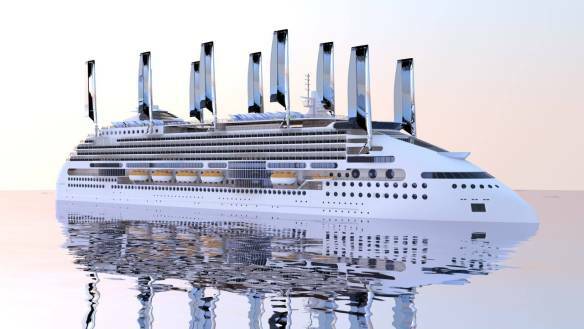 This system will cut two-fifths of the CO2 emissions that standard cruise ships discharge. The Ecoship signals a new future for the shipping industry, one that synthesizes sustainability, green technology, and efficiency. And for Peace Boat, the Ecoship will serve as an inspiring home for the “international floating village” the organization creates through its triannual global voyages for peace. For more information on Peace Boat’s Ecoship Project, visit the website.